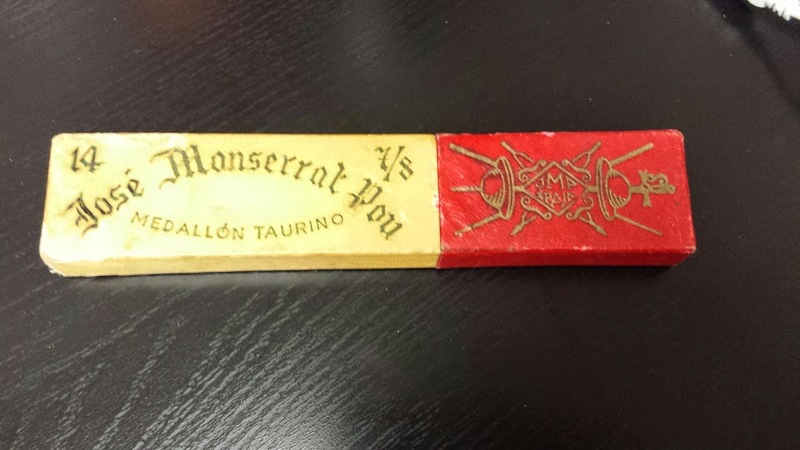 This blade is a beautiful Medallon Taurino, Banderillas model. The gold wash is intact. The blade does have hone wear due to the fact that it had a small chip near the heel that I had to hone out. The blade width at the tip is 7/8 and it tapers down to 6/8 near the heel. 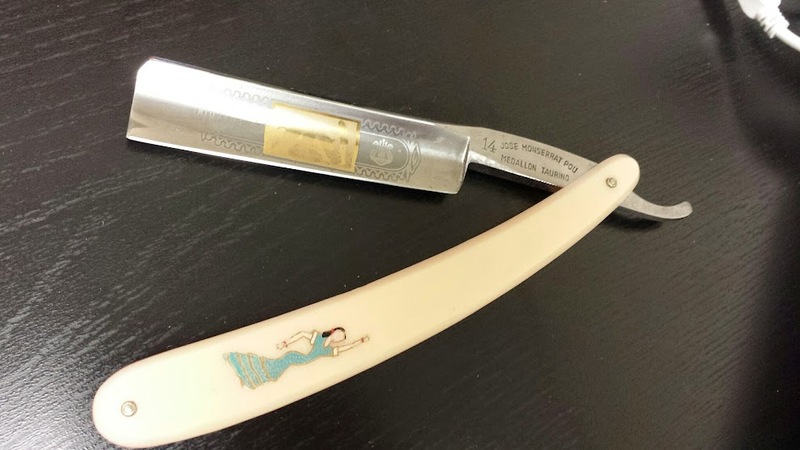 This blade was made prior to 1967 since it does not say the 'made in Spain"
While this blade is not perfect, it is still a beauty and it is shave ready. It comes with the original box. I am asking for $1̶7̶5̶, now $155! this includes the cost of shipping to the US and Canada. If you want tracked shipping it would be $10 more. I can ship to Europe and Asia as well but PM me first to discuss options. A beautiful blade for sure. Deal in confidence with Carlos gentlemen. His honing skills are excellent also! Carlos is a pleasure to deal with and I just shaved with a blade with edge and can vouch for his honing skills.